‘This is your body, your kidney and your rib,’ begins Homa Farley, the brains and talent behind Abu Dhabi Pottery. She stops and laughs out loud: ‘Anyone who overheard us in a pub would think we were up to no good!’ So begins our introduction into the world of pottery, a thoroughly rewarding and relaxing place to be. 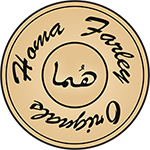 Homa’s studio sits snugly among the shops along the side of Khalidiya Park, a gentle cove of calm hidden from the bump and grind of the capital. She welcomes us in and offers us refreshment, meanwhile introducing a handful of students, each busy with their own little projects. There’s Tara, sat astride the wheel, rewiring her brain to make sense of its peculiar rotation (she learned pottery in Japan, where anything with wheels spins in the opposite direction). Claire is making something using a coil technique – we assume it’s a watering can and quickly learn never to assume anything when an artist is involved (it’s a teapot; apologies all round). Across the table, Shelley is doing some slab work, carving intricate designs into what will become a set of incense burners – we’re careful not to call them plates. Homa flits between the three, mopping up any mistakes with a minimum of fuss. ‘That’s something she’s really good at,’ confides Claire. ‘No matter how bad it seems you’ve messed up, Homa always has a way to make it work again.’ Claire tells us she’s been a student here for two months, cajoled into joining by a friend. Homa shows us some elegant amphoral jugs that demonstrate her fondness for combining methods. They are long and thin with unusually sharp bases that hang low, as though weighed down by water. Intricate coil work surrounds the upper body. Her style is influenced heavily (though, not exclusively) by ancient Middle Eastern motifs – she is Iranian, after all – and much of her handiwork is distinguished by animal motifs, which are common to the region’s artefacts. Rams seem to have a special significance, and she explains that the moulding of the horns signified cultural status. ‘If they were straight up, it meant wartime; if they were straight down, it meant farming,’ she explains enthusiastically. Homa began her life in pottery about 20 years ago, when she first moved to Abu Dhabi. ‘The first time I touched clay, I knew it was what I wanted to do with the rest of my life,’ she says. ‘There was nobody here teaching it at that time, so I moved to the UK and started attending courses and spending time with a lot of potters. I taught myself a lot, and then later went to the Glasgow School of Art.’ Her style has attracted plenty of international observers. Her studio is decorated in articles celebrating her work, published around the globe, and two of her pieces are part of a permanent exhibition at the National Pottery and Glass Museum in Tehran. Few people are lucky enough to make a career out of their genuine passion, and the fervour with which she goes about her work is infectious. Before we leave we’re offered the chance to make a pinch pot (we think it’s a coffee cup, though nobody else is convinced) and take a turn at the wheel. It’s harder than it looks – no wonder Patrick Swayze and Demi Moore got themselves so messy – and within seconds we’ve managed to collapse the delicate structure Homa started us off with. Her husband Michael joins the party later in the evening, chuckling at our lack of progress. ‘Most potters say it takes two lifetimes to learn,’ he laughs. We reckon we could do it in three. Abu Dhabi Pottery, 16th Street, Khalidiya (02 666 7079). Dhs400 for four sessions; Dhs150 for one session. More details and a detailed map can be found at www.abudhabipottery.com.